Contributors must be professionals working in the field that they are writing about, or in a closely related to the field. Our audience appreciates highly actionable content which can be immediately applied to their own strategies. Regular Contributors are assigned to an ongoing column to appear at a regular interval. This type of columnist must commit to writing regularly on the same topic for 6 months. The Contributors have to submit 2 articles per week until 6 months. We will give the separate contributors profile with ID & password so they can easily submit their content for review. Special Contributors must commit to writing on the same topic for 3 months. The contributors have to submit 3 articles per week until 3 months. We will give the separate contributors profile with ID & password so they can easily submit their content for review. We’ll also accept content from one-time contributors. Here are a few categories that we accept articles from. Please do not submit already publish content. Social media marketing, online marketing, inbound marketing, search engine marketing, content marketing, email marketing, video marketing, paid advertising, link building & PPC. 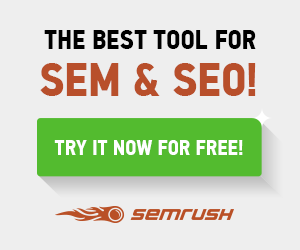 SEO tools, software & apps or plugins. Latest tech gadgets and reviews. Article Quality: Articles should be a minimum of 1500 words, should cover the topic in detail & written in a proper English language only. Incomplete articles are not going to publish. We want quality content & to ensure your article gets published, write a very original content which is written specifically for our audience. Please do not submit promotional content otherwise it will consider as a sponsored post. You should provide Author Bio of 160-170 words at the end of the article, you can also share your image as well and add one link back to your blog or website. Backlinks: We understand the importance of backlinks. We will allow only one link in the Author Bio. It could be your blog or social media etc. but make sure it should relevant. There are so many good creators & writers who want the platform where they can put themselves in front of the world. And I respect those creators or writers. If you are one of them then you should definitely submit your content. And We will give you the credit as well. But if you are those people who submit their content only because of backlinks then please do not waste your time here. Copyright: We respect every creators & Writer. Please do not copy any type of content from other creators. In case we find out that you have copied the content from somewhere else, you will get an instant ban & immediate removal of all your blog posts from our platform. Also, by submitting a post to our platform, you give us copyright ownership of the particular post. If you have read and understood all of the guidelines mentioned above, now you can submit your article. Please fill out the following form & we will consider your application. If your application is accepted then we will let you know by email. And we will also create your contributor’s account and handover account ID & password. Now, you can submit your content for review. Write your article in only English, add featured image as well as screenshots & videos. There is a plugin called Yoast SEO plugin, you have to write SEO optimized content. By using this plugin, you can check whether your article is SEO optimized or not. It will take 2-3 days for the review & within 2 days after reviewing your article will be published. After publishing your article on our platform, we will send you the link to the article through email.